You fly a multi copter with a DJI Naza flight controller and you’d love to receive telemetry data on your Taranis without the tinkering? Then the Zaggometry is for you! After connecting the Zaggometry to a Naza and a FrSky receiver (see below for a compatibility list) all important telemetry data is automatically send via the FrSky telemetry protocol, back to your Taranis. 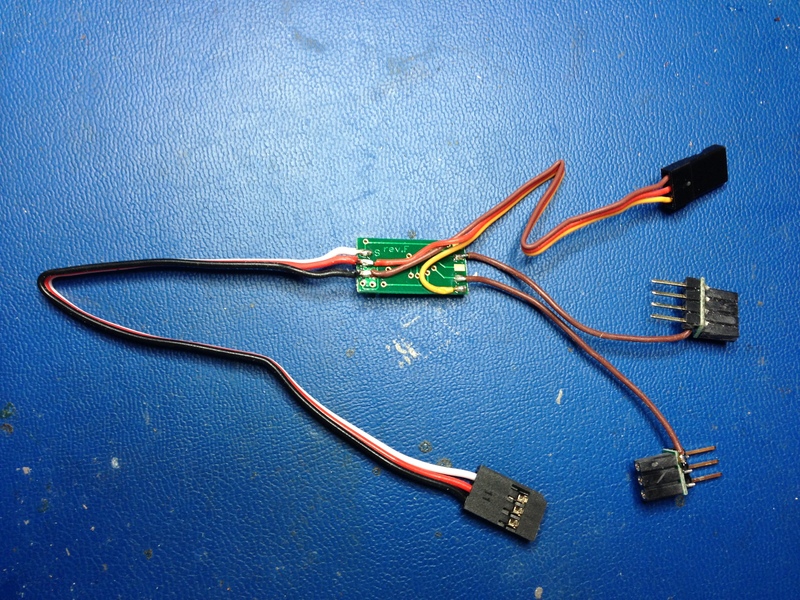 Connect the 4-Pin adapter from the Zaggometry between the GPS (in the top half of the Phantom 2 housing) and the GPS jack on the Phantom 2 motherboard. So just unplug the GPS cable from the GPS jack on the motherboard and connect it to the 4-pin adapter of the Zaggometry. Then connect the other end of the 4-Pin-Adapter to the GPS jack on the motherboard. Connect all other Zaggometry cables as described in the user guide (see links above). 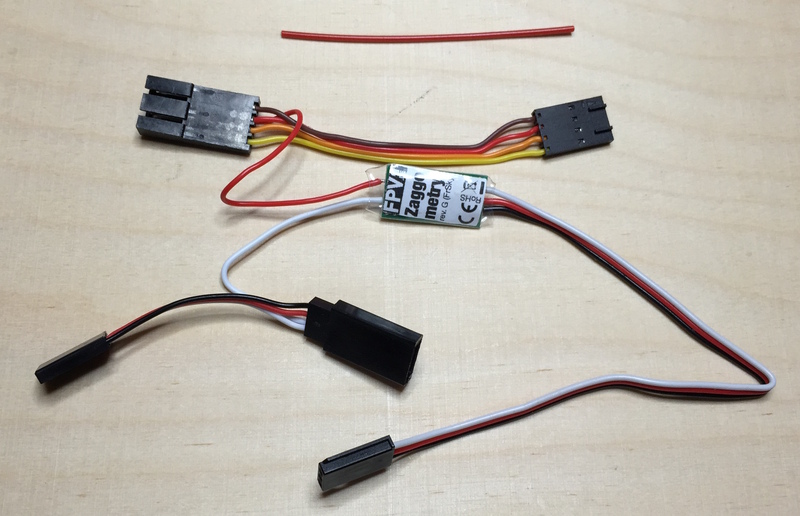 Optionally, the Zaggometry adapter is also able to measure the actual flowing current and send it as the „Current“ telemetry value. At this point, this feature is still experimental. So please be careful, know what you’re doing and do it on your own risk!! In order to use this feature, you’ll need an external current sensor PCB which translates the current into a voltage value (max. 5V!!). 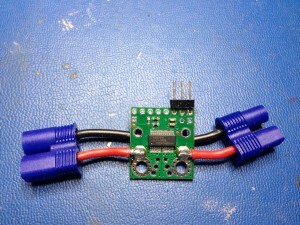 This current sensor output voltage can then be connected to the „C-Sense“ solder pad on the Zaggometry adapter. There are two types of current sensors: sensors using a shunt resistor (e.g. TBS Current Sensor or Attopilot) and sensors, using a hall effect sensor (e.g. Allegro ACS709 or ACS711). Both types of sensors should work with Zaggometry, as long as the sensor’s output doesn’t exceed 5V! The sensor’s output is processed by a analog-to-digital-converter (ADC) in the Zaggometry adapter. This ADC has a resolution of 10 bit, i.e. 0 – 5V can be measured in 1024 steps (one step for approx. 0,005V). For example, you might use a multicopter with a maximum current draw of 30 amps. If you now use a 150A rated current shunt as current sensor, this sensor theoretically outputs a voltage between 0 to 5V for 0A to 150A. With the 10 bit ADC this results in a resolution of approx. 0,15A or 150mA per step. In real world this resolution might be a lot worse than that. If you use a current shunt rated for 50A instead, this will result in a resolution of 0,05A or 50mA! When using a hall effect sensor, the effect gets even worse, since these sensors are usually rated for currents in both directions (e.g. -75A to +75A). The sensor’s output still runs from 0 to 5V but 0A (no current) results in 2.5V output, 0V output means -75A and 5V output means +75A. This effectually halves the resolution. So using a hall effect sensor, rated for -30 to +30A would give you a much better resolution of approx. 0,03A or 30mA. Here’s an example of using and calibrating a Allegro ACS709 hall effect sensor. In addition to the sensor output, these sensors need VCC (5V) and GND from the Zaggometry adapter. As described in the user manual, the sensor’s output pin is connected to the C-Sense pad on the Zaggometry. The +5V and GND wires are soldered to the 5V/GND pads of the SmartPort cable. Since hall effect sensors usually have an offset in their output voltage (in this case 2.5V for 0 amps), this offset needs to be calibrated in the Zaggometry adapter. Connect the Zaggometry adapter for calibration with a USB2TTL adapter as described in the user manual. Also connect the current sensor to the Zaggometry adapter. Then power up the mulitcopter (and the connected Zaggometry) and start the configuration menu in a terminal window on the computer (see user manual for more information). Make sure, the current sensor measures 0A. 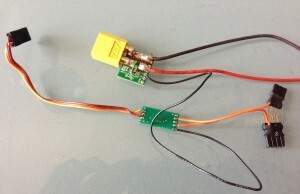 The easiest way to do this is to connect the the multicopter directly to the battery or power supply, without routing the current through the sensor. Choose “4. Calibrate Zero Amps Current Offset” from the configuration menu. When ready, hit the return key. The zero amps offset is now calibrated. Disconnect the mulitcopter from the power source an then re-connect it, but this time routing the power through the current sensor. If you don’t use a power supply with amps display, you want to connect a multimeter to your setup, so you can measure the actual flowing current. Start the configuration menu and choose “3. Calibrate Current ADC”. Start the motors of your multicopter (remove the props before that!!) and increase the throttle in order to draw some more current. Enter the amps, displayed on your power supply or multimeter into the terminal (e.g. 2045 for 2.045 amps) and hit the return key. The current ADC is now calibrated. 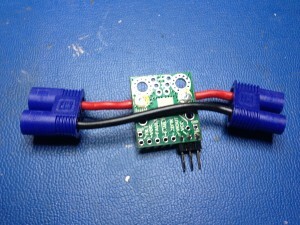 Stop the motors and disconnect the multirotor from the power source. Don’t forget to enable “Current” in the “Enable Telemetry Values” configuration of your Zaggometry. These sensors normally don’t need any additional VCC (please see the sensor’s instructions for more information!). 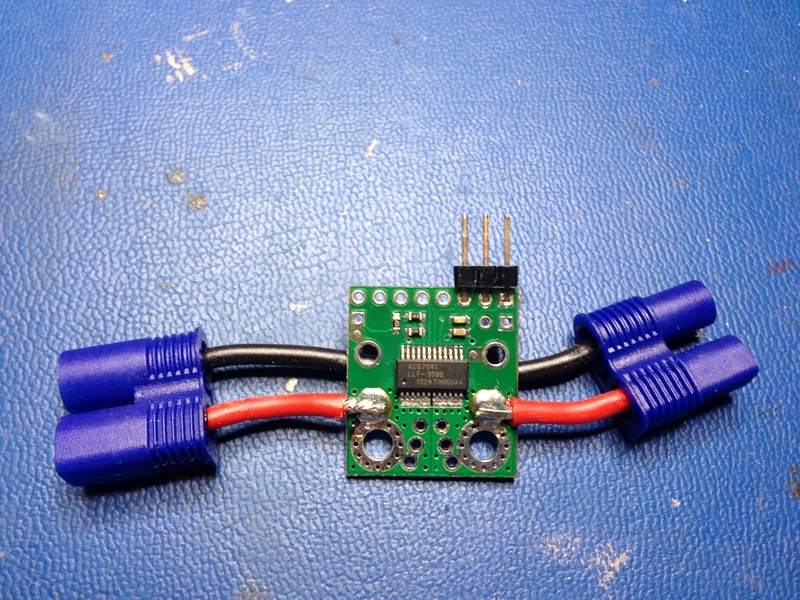 So just route the main LiPo current through the sensor board and connect the current sensor’s I output voltage to the Zaggometry’s C-Sense pad. Since the LiPo’s main GND is usually the common GND for the whole electronics on the multirotor, an additional GND connection to the Zaggometry isn’t generally necessary (althought, it might improve the measurement in some circumstances). AGAIN: Make sure the I output current of the sensor is between 0V and 5V at all times!! Disconnect the mulitcopter from the power source an then re-connect it, routing the power through the current sensor. If you don’t use a power supply with amps display, you want to connect a multimeter to your setup, so you can measure the actual flowing current. Since shunt resistor based sensor boards usually don’t produce a 0 amps offset, just let the 0 amps offset calibration on zero (0). Hi Zaggo, I looking to buy your fantastic Zaggometry for my TBS Disco, unfortunatly on FPV1.de it is sold out. Can you give me some info about the avability of your fantastic electronic! any news? It’s there a way to make a preorder? Hi Zaggo, do you rebuild zaggometry?, i like it, where i can buy one? Yes, the cables we’re waiting for (since a much too long time now) are finally on their way. One quick question. Is it possible/advisable to daisychain this with a cheap NAZA-OSD module? I presume there’ll be no detrimental effects to having two devices on the GPS line? I see FPV1.de is expecting to have the Zaggometry in stock by March 5th. Would like to get my hands on one. I am looking for the manual for zaggometry revision F. I cant find it anymore on the internet, the links are dead. Its important for me because I dont know the pin layout of the naza. And in revision F it is possible to shortcut while putting the cables wrong way around. Everything else is normal, can you please suggest why the A2 voltage is not stable? 14 days ago a recieved offered adapter. I also tried connection with searching main board. Unfortunately on Taramisu, I don’t see set data from tele-metrics. I tried to connect GPS tele-matics module from FRSKY and everything was working perfectly. Then I found, that compass reading angle (Hdg) after 10 minutes appeared and his next change was after next 10 minutes. On youtube, there are changes immediately. FPV1.DE is the only online shop for buying the zaggometry? ’cause since now it’s sold out! I just received mine today! Woohoo. However, as soon as I connect it to the smart port on my X8R I get a fast flashing orange light that indicates a problem.